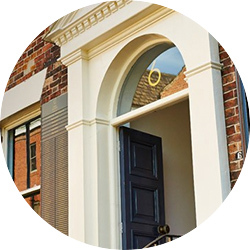 Regent Street Clinic™ Leeds clinic is located centrally in the beautiful professional business quarters at Park Square East, just a 10-minute walk from the train station, and with an excellent road network giving easy access to central Leeds. Park Square is a Georgian public square in Leeds and is one of four notable squares in Leeds city centre. This stunning square is grassed over and is a traditional Georgian park. The square is in Leeds’ financial quarter and is surrounded by Georgian buildings, which are occupied as offices with medical and legal businesses predominating. The clinic is easily reached via an excellent network of local public transport, including the tram and bus systems which stop at our doorstep on West Street. The clinic is only a 10-minute walk from the train station. The clinic is open 6 days per week with same-day appointments and walk-ins. From the West: Take the M62 North and then M621, follow the signs for City Centre. At the roundabout, take the first exit onto A643 and continue onto A58. At the roundabout, take the fourth exit onto Wellington Road. Continue onto Inner Ring Road A58 (M), exit onto West Street, bear right onto Park Lane, turn right onto Park Square West and turn right onto Park Square East. We are only 10 minutes walk from Leeds train station. Exit the station and follow the way out to City Square. Cross over two sets of pedestrian crossings and proceed forward across City Square. After City Square turn left onto Infirmary Street, at the end of this road, cross over the pedestrian crossing to the right and then cross over the pedestrian crossing to the immediate left. This will bring you to St Paul’s Street. Continue along St Paul’s Street for approximately 150 yards and then turn right onto Park Square East. There is no allocated car park at the clinic. Parking meters are available on Park Square Monday to Friday £2.50 for 1 hour and £4.90 for 2 hours. Saturday £1.80 for 1 hour and £3.00 for 2 hours.